Youth Policy Institute/Charter Schools Inc.
We would like to extend a special thank you to Shelley Berger, Rory Green, and Kathy and Jason Katims for hosting unique and memorable events to benefit WriteGirl. 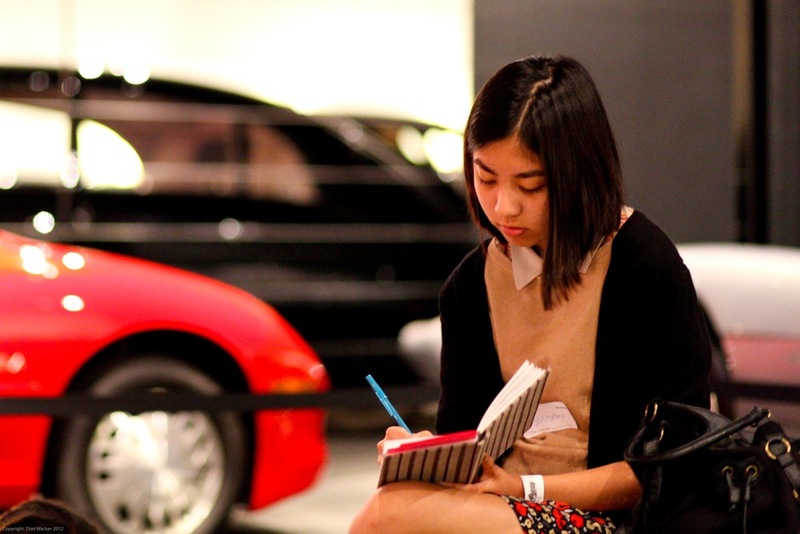 Thank you for helping introduce WriteGirl to new friends and supporters. grow and help more teen girls each year. All of WriteGirl’s mentors and volunteers for mentoring teen girls as well as contributing professional services, including strategic planning, public relations, event coordination, mentoring management, training and curriculum development, catering, financial management and administrative assistance. Board members for their support and guidance on strategy, fundraising, communications and development of community partnerships. Civic leaders: The Honorable Mayor Eric Garcetti, Los Angeles County District Attorney Jackie Lacey, Los Angeles County Supervisor Hilda L. Solis, California State Senator Holly J. Mitchell and Los Angeles City Councilmember Marqueece Harris-Dawson for their support and acknowledgement of WriteGirl’s contributions to the community. 72andSunny, the Academy of Motion Picture Arts and Sciences Linwood Dunn Theater, Blankspaces, Chevalier’s Books, City of West Hollywood/West Hollywood Library, Factory Place Arts Complex, General Assembly, HNYPT Studios, Impact Hub/LA, Japanese American Cultural and Community Center, Japanese American National Museum, Maker City LA, The National Center for the Preservation of Democracy, NBCUniversal, Pasadena Public Library, Shakespeare Center of Los Angeles, Skylight Books, The Unique Space and Writers Guild of America Theater. Romy Griepp, HarperCollins Publishers, Marie Kordus, Janet Sternberg and Penguin Books USA. Food, snacks and beverages at Writegirl workshops and special events: 18 Rabbits, 85C Bakery Cafe - Pasadena, Bagel Factory, Bai5, Big Mango Cafe, Bossa Nova, Buffalo Wild Wings, Cafe Gratitude, Cheeky Home, The Cheese Store of Beverly Hills, Chipotle Mexican Grill, Coco Community, Cucina and Amore, DFV Wines, Dominick’s, Green Street Restaurant, Heath and Lejeune, HINT Water, Hubert’s Lemonade, Icelandic Glacial Water, Iron Triangle Brewery, Jennifer Pennifer Bakes, K Chocolatier, Katherine Lemon Bars, Kitchen24, La Pizza Loca, Les Macarons Duverger, Little Flower Candy Co., Lundberg Family Farms Rice Chips, Made in Nature, Matchbook Wine, Mendocino Farms, Milk Jar Cookies, Mixed Nuts Inc., Modern Spirits, MOYO, nakedwines.com, Nature’s Bakery, Nothing Bundt Cakes, Nutsite, Olive Garden, Papa John’s Pizza, Papi’s Pizzeria, Porto’s Bakery, Riot Grill, Rubio’s Coastal Grill, Senor Fish, Sharky’s Woodfired Mexican Grill, Spitz, Stella Artois, Stumptown Coffee, Sun-Maid, Superba, The Bagel Broker, The Grain Cafe, This Bar Saves Lives, VOCO, Western Bagel, Yuca’s, Yummy Cupcakes (Pasadena) and Zinc Cafe & Market (DTLA). Mini Bites Catering for delectable food for our annual Lights, Camera, WriteGirl! benefit. Special thanks to The Huntington Library, Art Collection, and Botanical Gardens for their generous support for workshops and events. Our girls and volunteers gain tremendous inspiration from the art, gardens and staff. The Huntington is an oasis in the city, and we are grateful to bring our members to write in this unique environment. Besties forever! PowHERful Summit, Exposition Review, GenHERation’s Discovery Days, Southern California Poetry Festival and TEDxPasadenaWomen for inviting WriteGirl to participate at special events. Sara Apelkvist for design and branding strategy, including development of WriteGirl’s logo, website, press kit, stationery, book design, promotional materials and ongoing support. Los Angeles County Office of Education for providing the necessary support to bring our workshops to the teens at Azusa Community Day School, Destiny Girls Academy and the Road to Success Academy at Camp Scott and Camp Scudder, two adjacent detention facilities for teen girls. NBCUniversal and Ebell Rest Cottage Association for workshop and project supplies. Baron Fig, Chronicle Books, Clairefontaine, Compendium Inc., Denik, Exaclair, Fiorentina LLC, Image Connection, International Arrivals, JetPens, Knock Knock, Kikkerland Design, Leuchtturm1917, Paperblanks, Rag and Bone Bindery, Rhodia, Rifle Paper Co., Rock Scissor Paper, Running Rhino & Co./ Madison Park Group, Studio C and Hartley and Marks. Panda Cares/Panda Express for their longtime support of our annual Character & Monologue Workshop by providing volunteers and delicious food for our members. Special thanks to all the generous companies and individuals who donated items for our silent auctions!